I'm still buzzing from a fun-filled Open Studio, topped off with the fact that my space is all tidied up... you can't get much more happy than that. 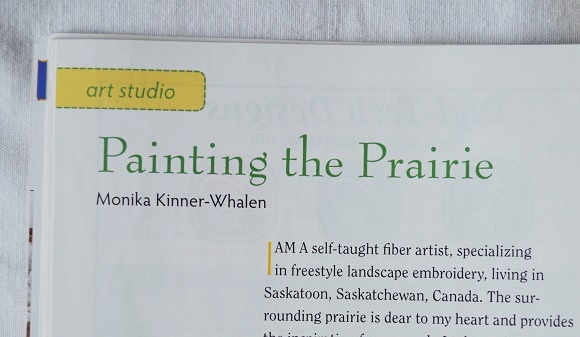 This week I've been working on filling orders and will be loading a whole bunch of new work over to the Sask Craft Council Boutique. I keep meaning to start up a selection of available art online, but it goes pretty quickly. So, if you are ever interested in my art to purchase, please just ask. I ship worldwide and often have a few pieces at home just waiting. And this!! Last week, I got some mail. I got some VERY exciting mail. I posted on facebook and then (shame on me) I failed to post it on my blog. My only excuse is that I've been busy cleaning and preparing... and then was a bit under the weather when I finally did take a day off because that is how things work, right? So here it is. Here's my mail!! As for our recent changing of the guard, our new Prime Minister and his young family are pretty much the French Canadian version of Brangelina, are they not!? A warm welcome to our second Prime Minister Trudeau, wife Sophie and their 3 children. That's no doubt making a lot of headlines as Trudeaumania starts up once again in Canada. Red - Blue - Red - Blue - Red and so the cycle continues. And now that elections are over, we can get back to this - MARK YOUR CALENDARS. 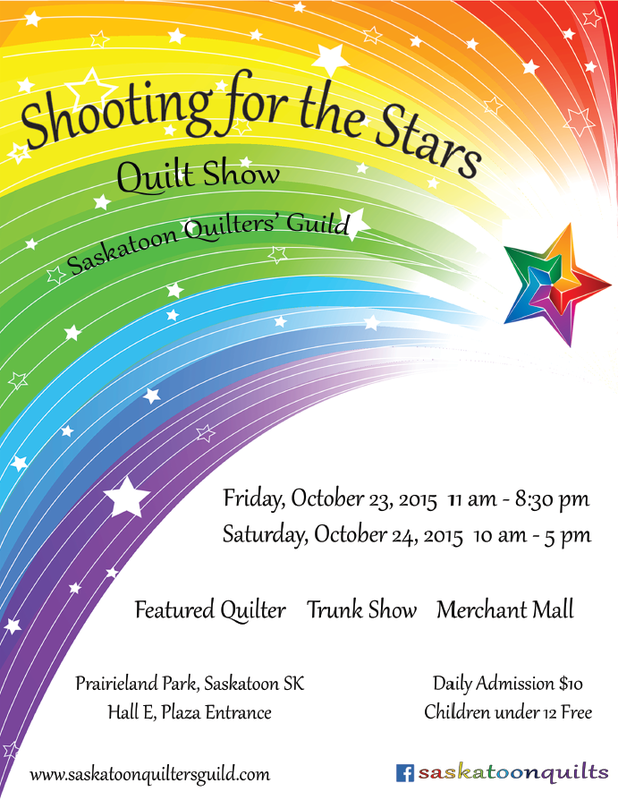 The big BIG Saskatoon Quilt Show and Market is in a matter of days! Friday and Saturday - check out the poster! It's a little more expensive than what I remember, but so is everything including the rent for the space I'd imagine. Plus, I'll regret not going so I'm happy to dig deeper. 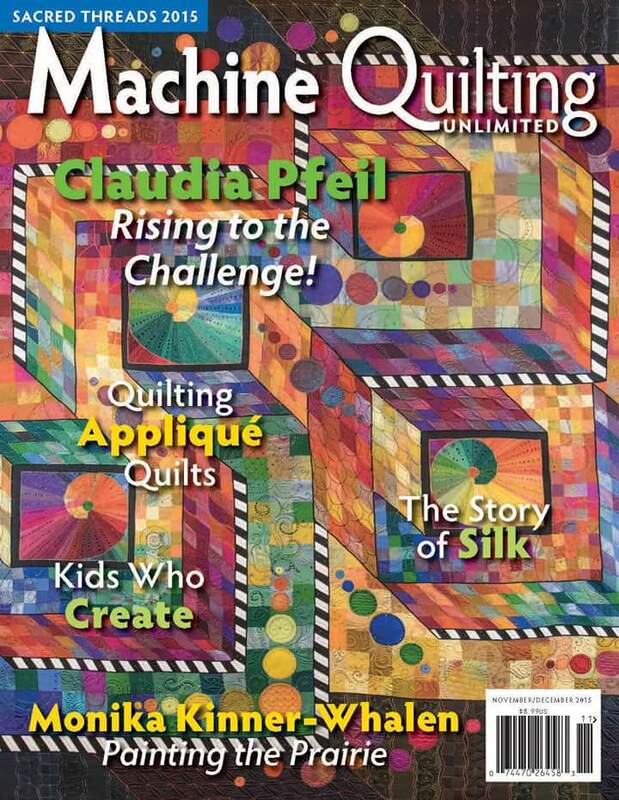 Monika, congrats on the magazine article! I am familiar with this magazine, but agree it's very hard to find in Canada. 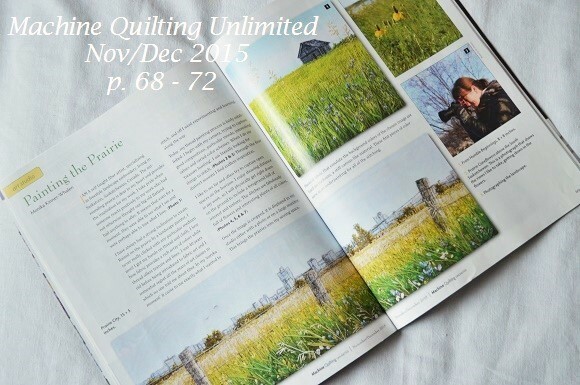 Thank goodness for e-magazines! And , yes, our new Prime Minister is a dynamic and interesting new leader for our country.